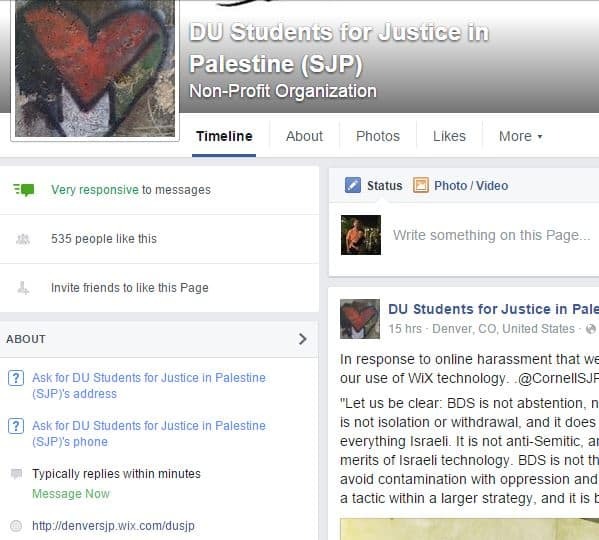 Following my post exposing their delicious dumbassery, Students for Justice in Palestine at the University of Denver have removed their website built on Israeli web platform Wix. Unfortunately for them, they forgot to remove the Wix website’s URL from their Facebook page. 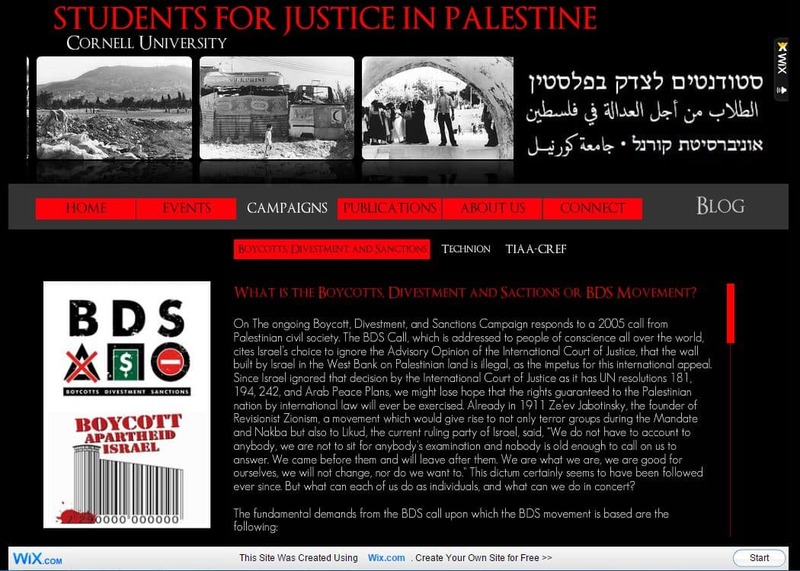 Meanwhile, another SJP chapter is using Wix – Cornell University! Apparently, they have hosted their site on Wix since at least 2013, and despite some media attention on this dumbassery, have not gone the Denver chapter route of (almost) hiding the evidence.